America's monster problem explodes, society crumbles, and Liz Sherman rejoins the fight, as Nazis seek to bring Rasputin back to finish what he started when he first conjured Hellboy! This deluxe hardcover edition collects B.P.R.D. 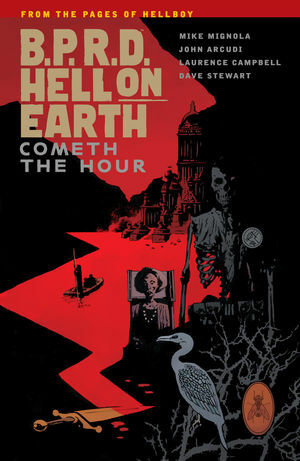 Hell on Earth volumes #4-#6, plus an expanded sketchbook section.